CardMonkey's Paper Jungle: New Cricut Artbooking Cartridge Revealed -- and a chance to win it! 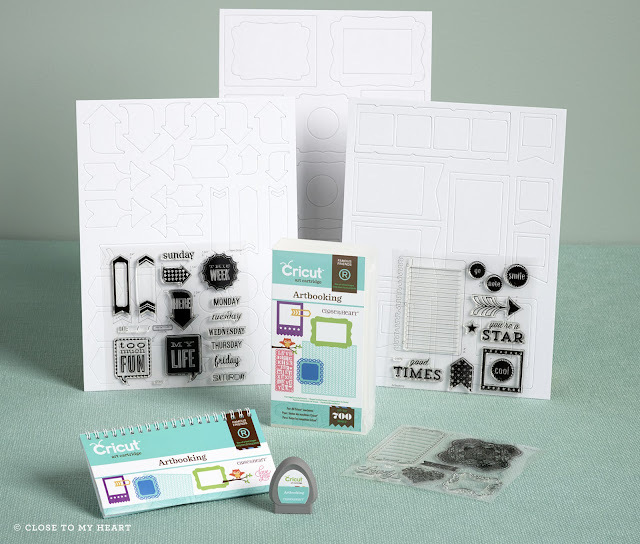 New Cricut Artbooking Cartridge Revealed -- and a chance to win it! The Close To My Heart Convention 2013 has come to a close. There was a lot of inspiration to be had, with some of the country's leading papercrafters and certainly, with one of the top performing papercrafting/stamping companies in the country. From new paper collections, new stamp sets, new papercrafting tools and accessories, the new Idea Book is chock-full of wonderful ideas to inspire for your scrapbooking and cardmaking projects. I must say, the biggest roar from the crowd at Convention came when the Exec VPs announced there is a new Cricut cartridge, and this one introduces us to "Artbooking". Artbooking is more than just scrapbooking. It provides planned and themed layouts that are easy to cut, easy to use, and versatile -- no matter if you're making a 12x12" scrapbook or a 6x6" mini-book. 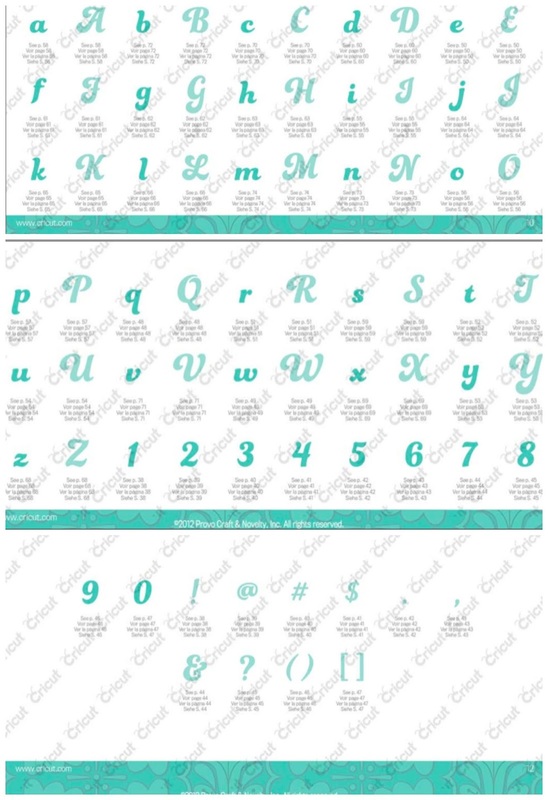 And while the most fantastic feature is that the cartridge is designed specifically with scrapbookers in mind, I see how easy it will be to adapt any one of the page designs, overlays, sentiments and elements to use in my cards. - 30 Themed DOUBLE Page Layouts (total of 60 layouts) all size coordinated. What this means is that you set your Cricut size dial once to cut out all of the elements, and they will be proportioned to fit precisely in the album page size you select. No more "Guesstimator's Asymmetriosis!" 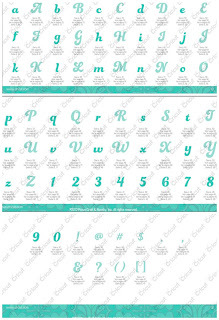 - Full page and partial overlays of unique designs -- use them as cut pages or stencil/mist for interesting effects. - Oodles of phrases, sentiments, titles, themed elements, photo frames, and more! There's also a brand new font released with this cartridge, isn't it pretty? Like every Cricut cartridge, the new Artbooking cartridge comes in a $99.00 bundle that includes three of Close To My Heart's coordinating "D-sized" stamp sets (each has a $17.95 value) plus two sheets of coordinating chipboard elements to add dimension to your cuts. The release date for this super cartridge is August 1, 2013. If you pre-order it from me not later than July 31, 2013, I am offering FREE SHIPPING (in the US only) of the of $99.00 for the Artbooking Bundle, and I'll send you the brand-new, hot-off-the-press Autumn-Winter 2013 CTMH Idea Book! And, if you order just $50 more from the new Idea Book when you pre-order your Artbooking Bundle, I'll discount your entire order by 10%! How's THAT for savings?! Just go to my Close To My Heart online business office at http://cardmonkey.ctmh.com and sign up as one of my customers. Let me know you've done it (in a comment to this post), and I'll send you a free CTMH Idea Book (limited to the first 75 respondents). This will give you one entry into my drawing for a brand new Cricut/CTMH Artbooking cartridge (drawing on August 31, 2013). No purchase is required to enter this drawing. Want additional chances to win the cartridge? For each $50 worth of CTMH merchandise you order from me from now through August 31, you'll receive another entry into the drawing to win the new Artbooking cartridge. Shop more, get more entries! Also, I will be demonstrating the new Artbooking cartridge on Sunday, July 14 from noon to 5 p.m., site to be determined based on number of interested participants. I'll have a cartridge and a Cricut there for you to try out, too! Each attendee to the event will be given a CTMH Idea Book, along with an extra entry into the drawing for the Artbooking cartridge. Please contact me if you are interested in attending this FREE event. Have questions or comments? Please drop me a line at cardmonkey@comcast.net, or leave a comment below. I have signed up to be one of your customers! Thanks for the chance to win this awesome cart! I am one of your customers and can't wait to get the new Idea Book! also, the Artbooking Cricut cartridge!! Come home!! Looking forward to owningnthe Artbooking cartridge. I just jumped on board Ellan. I've never been a CTMH customer for anyone before. :) That makes you my first. Signed up as one of your customers!Always love to see what you are creating! I have signed up as your customer and I have a few things I want to buy in addition to the new cartridge...so I can't wait for the new catalog! thanks so much! Winning it would be even better, though! I just signed up as one of your customers. Yay. I just signed up as a customer. Would love to win the new Artbooking cartridge. Something to look forward to. I signed up! Thanks for the free entry. I signed up to be your customer and just want to say thanks for the opportunity to win this awesome cartridge!